Circuit courts will replace district courts. 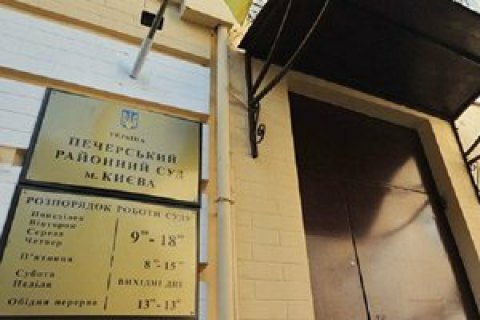 President Petro Poroshenko intends to liquidate Kyiv's Pecherskyy and Holosiyivskyy district (rayonnyy) courts and replace them with the Central Circuit (okryzhnyy) Court instead, according to a 21 December resolution of the High Council of Justice. With these resolution, the HCJ approved draft presidential decrees eliminating 142 local and creating 74 circuit courts instead. In particular, Poroshenko intends to liquidate 10 district courts in Kyiv. Instead, the decree provides for the creation of Darnitskyy Circuit Court (in Darnytskyi district), the Dniprovskyy Circuit Court (in Desnyanskyy and Dniprovskyy districts), the Podilskyy Circuit Court (in Obolonskyy and Podilskyy Districts), the Solomyanskyy District Court (in the Svyatoshinskyy and Solomyanskyy Districts) and Shevchenko Circuit Court in the namesake district. The jurisdiction of the Pechersk district covers many central bodies of legislative and executive power that are headquartered in this administrative district of the capital, which made Pechersk court one of the most important and influential courts in Ukraine. The amendments to the Constitution that came into force last September stipulate that before the introduction of the new administrative and territorial structure of Ukraine in accordance with the decentralization, but not longer than by the end of 2017, the creation, reorganization and liquidation of courts is the prerogative of the president. Since 2018, the powers to create, liquidate and reorganize courts will pass to the parliament.